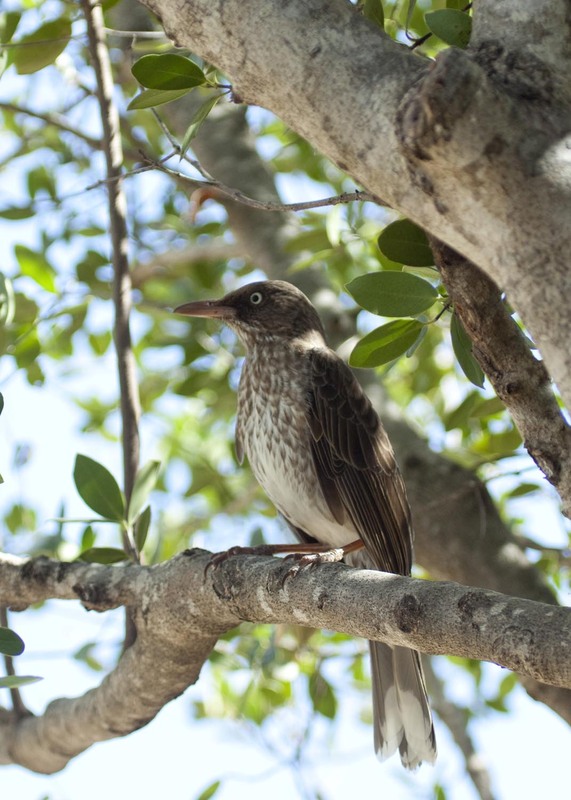 It seems that not many birders make it to the US Virgin Islands, likely due to the fact that the islands aren't home to any endemic species and pretty much all of the birds can be easily seen in other places. 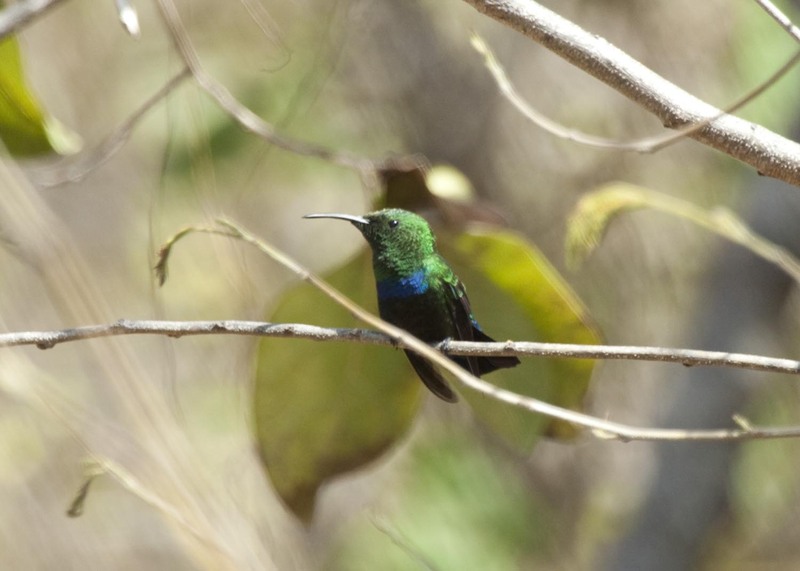 If you do happen to find yourself in the Virgin Islands and on St John in particular, you might be surprised at the number and quality of the birds that you find. My favorite birding hotspot on the island in the Francis Bay Trail on the north side of the island. The trail starts in some scrub type habitat and proceeds down to a boardwalk through the mangroves and along a small lagoon. 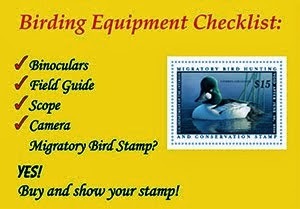 The birding is wonderful throughout the trail but you should plan to arrive early for the most activity. 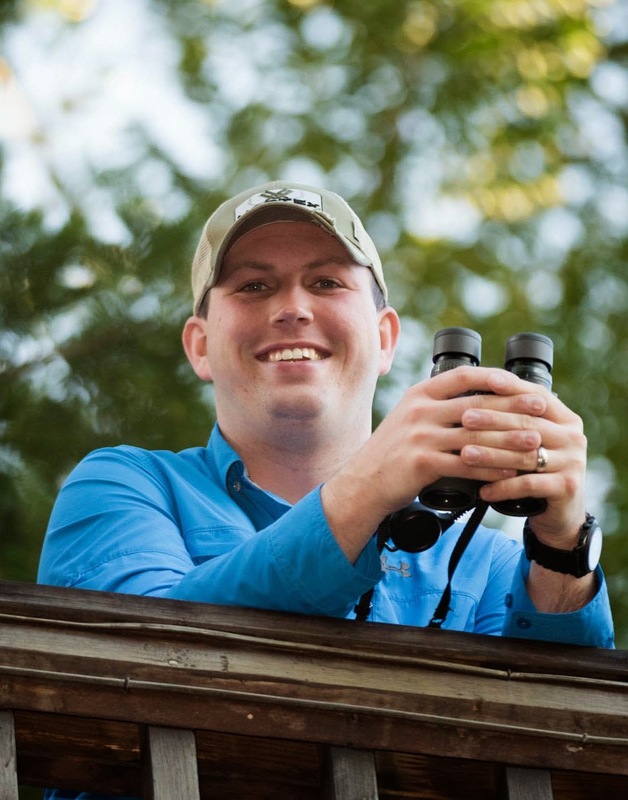 You can learn more about this awesome birding hotspot by following this link! 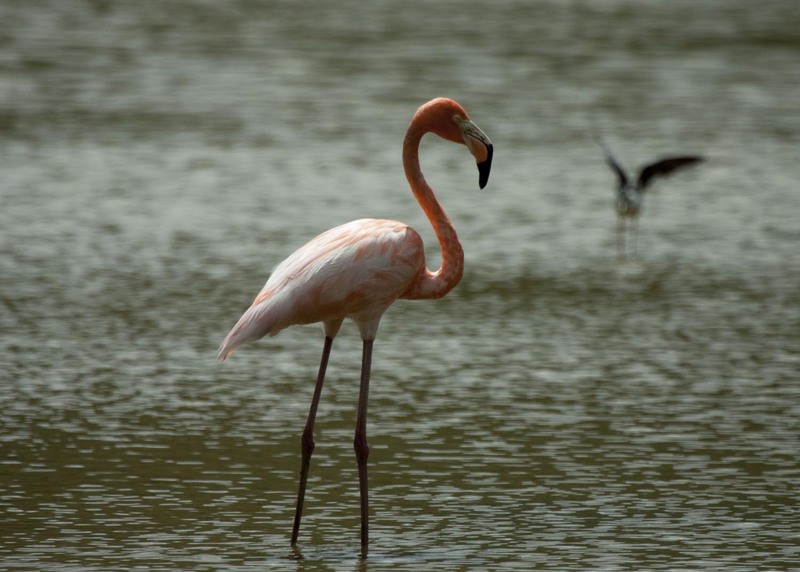 I was lucky to observe an American Flamingo when I visited the Francis Bay Trail in 2012. 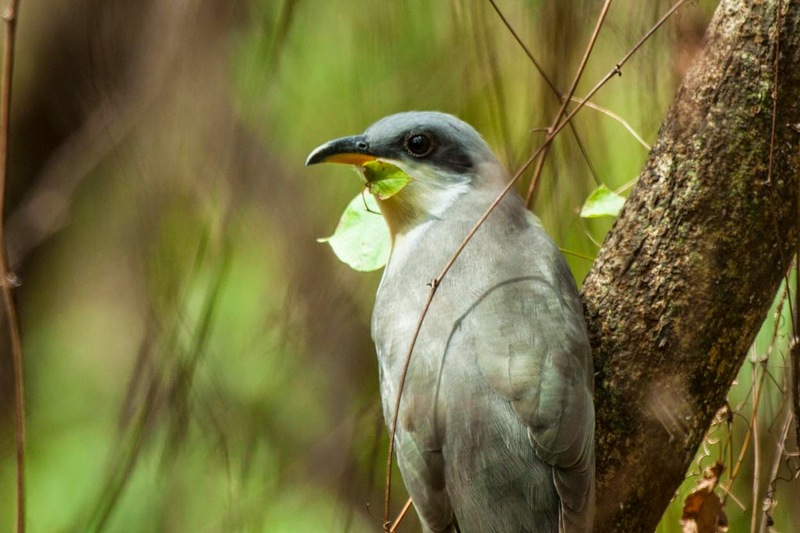 Pearly-eyed Thrashers are one of the most common birds on St. John. Green-throated Caribs can be found along the trail. It was easy to see Mangrove Cuckoos along the Francis Bay Trail. Where do you like to go birding in the US Virgin Islands?